MATSUYAMA, EHIME PREF. - Shikoku Electric Power Co. on Tuesday ended operation of a nearly 40-year old nuclear reactor in western Japan, making it the sixth unit to be scrapped under stricter safety regulations introduced after the 2011 Fukushima disaster started. 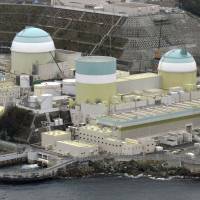 The utility decided in March to decommission the idled reactor 1 at its Ikata nuclear complex in Ehime Prefecture, as it would be too costly to reboot the aging reactor. The company estimates more than ¥170 billion ($1.59 billion) would be needed to beef up safety measures for restarting the reactor, which started operation in 1977. 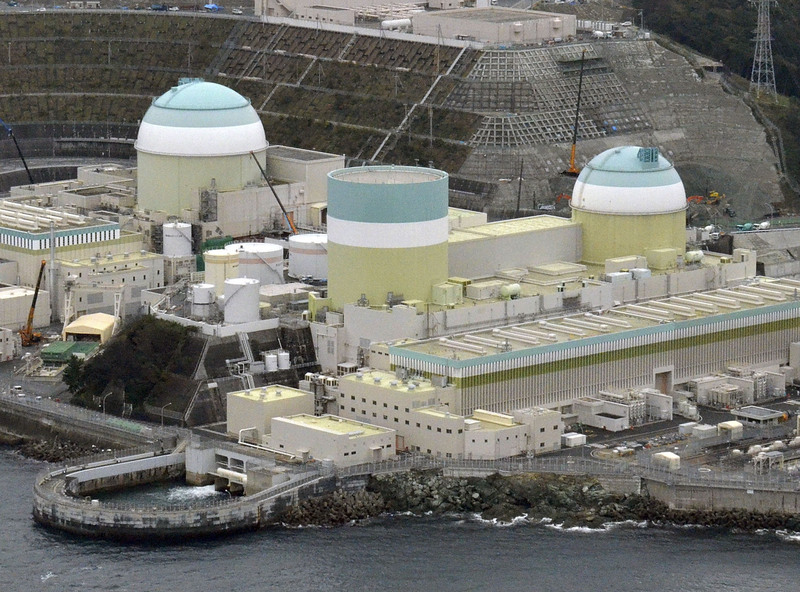 It is expected to take about 30 years to complete the decommissioning of the reactor at a total cost of ¥40 billion, according to Shikoku Electric. The company is banking on technology cooperation that it agreed on with three other regional utilities last month to cut decommissioning costs. The tougher safety rules prohibit the operation of nuclear reactors beyond 40 years in principle. But operation for an additional 20 years is possible if operators make safety upgrades and pass the regulator’s screening. The government is looking to reactivate more reactors to meet a goal of generating at least 20 percent of Japan’s overall electricity with nuclear power generation by 2030. The shutdown of the Ikata reactor 1 reduced the number of commercial reactors in Japan to 42, of which four have been restarted under the post-Fukushima safety rules. But two of the four were shut down earlier this year following a court decision banning them from resuming operations. With new reactor construction difficult amid public concern over the safety of nuclear power, the country would need a dozen of the aging reactors to operate beyond the 40-year limit to accomplish the government goal, industry observers say. Shikoku Electric has said it would not make economic sense to restart the unit 1 given the cost and the fact that it has a relatively small output capacity of 566,000 kw, while the company aims to reboot the larger and newer reactor 3 at the same power plant. The town of Ikata expects the scrapping of the aging reactor to reduce state subsidies that it receives for hosting the nuclear complex by ¥300 million to ¥400 million to around ¥1 billion.